If you need help getting back on your feet after an illness, injury or hospital visit, Loving Angels Care can provide dedicated assistance for as long as you need to help you get back into a routine at home. 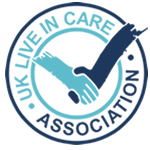 Our care staff are all fully trained in order to support you and will create a personal care plan that includes your objectives of where you want to be and when. Your care team will then help you get there. This may be by helping out around the home or supporting you with personal care in the interim. We firmly believe in helping you to remain as independent as possible and take guidance from you in what feels right and how you are progressing. We will then monitor this on an ongoing basis until you feel ready to take on some responsibilities that were put on hold.